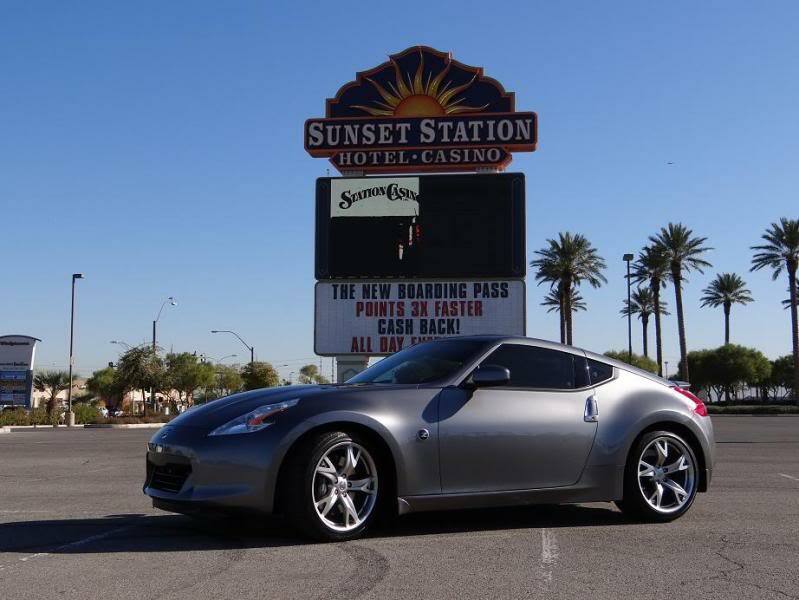 I have a G37 but just added a 2011 370z. I haven't done my research yet, but this car I do plan to do some modifications to. I owned a 280zx years ago as well as other Nissan/Datsun products over the years. I mainly just want to say hi! What sort of work do you do in Vegas to afford those two nice cars! Poker champion? Or maybe Roulette? While I love both the G37 and the Z34, I don't understand why you want 2 cars that are essentially the same car built on the same platform? Thanks for the warm welcomes! I didn't know how long it would take for my post to show up. First off I will state even though both cars are on the same platform they are totally different. A few of the controls are the same but past that they are different beasts. Heck one even has a back seat! (it is a coupe though) They were both well thought out purchases and both serve a need. As far as a GTR, well I did think about those long and hard but my better judgement prevailed. Instead I have an amazing IPL and a sporty, beautiful Z. I guess I could always TT the Z. I would still be out less money than buying the GTR. No brainer in my book. Last edited by Tazicon; 12-09-2011 at 07:54 AM. I suppose. I have only driven a G37s Coupe, never drove a Z34 yet (or a Z33 for that matter but they are ugly lol). I'm a NOOB! And I like it! !